As Rajasthan and Telangana go to polls on 7 December, the Bharatiya Janata Party (BJP), Congress and Telangana Rashtra Samithi (TRS) intensified their campaigning over the weekend, each throwing a slew of allegations at their rivals, with days to go before campaigning ends and the Model Code of Conduct comes into effect in both states. While addressing rallies in both states on Saturday and Sunday, BJP leaders, including Amit Shah, Yogi Adityanath and Shivraj Singh Chouhan, alleged that the Congress and TRS were indulging in minority appeasement, whereas the Congress accused the BJP and TRS of not delivering on their promises. In Rajasthan on Saturday, Congress president Rahul Gandhi stirred a controversy by questioning Prime Minister Narendra Modi's knowledge of Hinduism, drawing sharp reactions from BJP leaders. TRS released it's a manifesto on Sunday, promising to extend the retirement age of government servants by three years to 61 and unemployment allowance to youth. Caretaker chief minister and TRS chief K Chandrasekhar Rao — also known as KCR — has been on a vigorous campaign trail in the past few days seeking a second term for the party. He has been unsparing in his attack on Modi, Rahul and Telugu Desam Party (TDP) chief and Andhra Pradesh chief minister N Chandrababu Naidu. Rao called Modi a liar and Rahul a joker at a campaign in Yellandu. In a scathing attack on Sunday, KCR accused Naidu of distorting facts over Hyderabad's development and said he needed a "mental check-up". KCR, in his campaign meetings, has been accusing Naidu of having claimed to have built Hyderabad, but the Andhra chief minister has clarified that he only said he had put the Telangana capital on the world map, and that Cyberabad was his brainchild. The TRS is contesting alone in the 7 December Assembly elections, while the TDP is part of the Congress-led People's Front. Referring to the alliance at a rally in Secunderabad, KCR said that in a matured democracy, the people should win, not political parties or leaders. BJP president Amit Shah, Uttar Pradesh chief minister Yogi Adityanath, and Union minister Nitin Gadkari were among the party's key campaigners who addressed public meetings in different parts of Telangana on Sunday. Shah and Adityanath addressed similar points at their rallies, both alleging that the Congress and TRS were indulging in Muslim appeasement. Adityanath claimed the Congress and TRS were "playing with" the interests of people in Telangana and would make efforts to take the state towards "Nizamshahi". On Sunday, Shah alleged that KCR had burdened the state with crores of rupees by opting for early polls. At Narayanpet in Mahbubnagar district, he also alleged that both the TRS and the Congress believed in the "appeasement" of minorities and that AIMIM's Akbaruddin Owaisi had said whoever became the chief minister of the southern state would have to bow before his party. On a similar note, Adityanath, at a BJP election rally in Sangareddy, accused the Congress of obstructing the construction of a Ram temple in Ayodhya, claiming that the Rahul Gandhi-led party and TRS were indulging in Muslim appeasement. Addressing another election rally in the town of Tandur in Vikarabad district, the Uttar Pradesh chief minister hit out at Asaduddin Owaisi-led AIMIM. "If the BJP forms a government in Telangana, I can tell you that Owaisi will have to run away just like the Nizams were compelled to run away from Hyderabad. BJP will give security to all but will not allow those who spread anarchy," he said. Accusing both the Congress and TRS of indulging in Muslim appeasement and making religion a foundation to launch schemes, he claimed the BJP does not discriminate between caste, creed and religion while drafting policies. Adityanath also put forward a Hindutva agenda saying not only was his party ready to rename Hyderabad as Bhagyanagar, but only a BJP government could cut the city's terrorist links. Congress leaders Ghulam Nabi Azad, Anand Sharma, Kapil Sibal, Jairam Ramesh and Veerappa Moily were among those drafted to guide the party campaign in Telangana over the weekend. The focus of their campaigns was that both TRS and BJP have failed to fulfil their poll promises to the electorate. Addressing a public rally in Hyderabad, Azad pointed out that the TRS supported the BJP in passing several bills in Parliament as well as on many issues. Moily on Sunday alleged that the TRS government was not for the people of Telangana but only for KCR's family. He also claimed that KCR was not concerned about problems of the people and had not fulfilled the promises he had made to them. Addressing a press conference, he said that the Congress, if voted to power in the 7 December Assembly elections, would fulfil all the promises the party has made in its manifesto. In what is seen as a "final push", Modi and Rahul, who have already addressed campaign meetings in the state, are returning to Telangana on Monday to address rallies. Congress president Rahul Gandhi on Saturday launched a fresh attack against Modi, questioning his knowledge of Hinduism. At a public meeting with business professionals in Udaipur, Rahul claimed that Modi does not understand the "foundation of Hinduism". 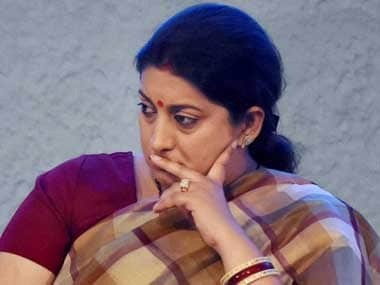 The comment garnered heavy criticism, with BJP leaders Rajnath Singh and Smriti Irani hitting out at the party, saying that they, who had once questioned the existence of Lord Ram, were now talking about Hinduism. 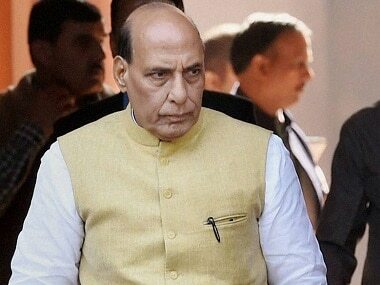 Rajnath on Sunday claimed that Congress leaders start offering prayers at temples only when elections are near, whereas for the BJP, it is an integral part of its culture. At a press conference in Jaipur, he said temples and cows were not an election stunt for the BJP. 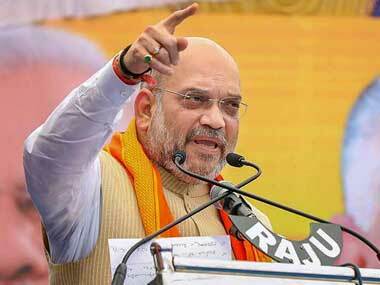 BJP president Amit Shah said, "The Congress is now preaching us about Hinduism... They are giving us lessons of Gita." 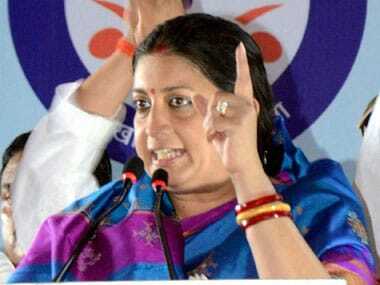 External Affairs Minister Sushma Swaraj said Rahul and the Congress were confused about their religion. Meanwhile, Rajasthan Congress chief Sachin Pilot on Sunday said the people of the state will vote out the BJP due to the "misrule" of the Vasundhara Raje government, which had failed to curb inflation and corruption. At a rally in Dholpur, he said: "The Vasundhara Raje government was busy giving contracts of Bajir (sand mines) and liquor to their people while public at large suffered due to the total misrule of this government." In Bikaner, senior Congress leader Ashok Gehlot accused the BJP of mixing politics with caste and other issues. BJP leaders Rajnath Singh, Shivraj Singh Chouhan and Keshav Prasad Maurya were also in Rajasthan to campaign for the party over the weekend. Attacking the BJP, Chouhan said the Congress wants 90 percent of the Muslim community's votes by painting a bad picture of the BJP in their minds. "In closed-room talks, they say that if 90 percent of Muslim voters don't vote for the Congress, then their party will be defeated in elections. They create fear in their minds by saying that if the Congress doesn't form the government, then what will happen to the Muslims?" he said. The Madhya Pradesh chief minister also said that the Congress was responsible for the Partition of the country, and that India's first prime minister Jawaharlal Nehru was responsible for the Kashmir dispute with Pakistan.